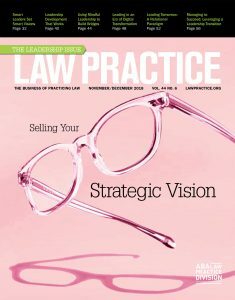 When I sat down to write No Law Firm Niche is Hotter Right Now than Diversity a few weeks ago (and published today), in the March 2019 edition of the ABA’s Law Practice Today (LPT) webzine, it was Paul Weiss getting the negative publicity fresh off an unflattering feature in the Sunday New York Times. Of course, this week, another white shoe New York law firm, Willke Farr, was getting to put its own crisis communications plan into play, when firm co-chair Gordon Caplan was placed on leave in the wake of the hottest news story of the week—the college admissions cheating scandal. In Law360’s Did Willkie’s Reaction To Admissions Scandal Miss The Mark?, reporter Aebra Coe asked me about the firm’s action and reaction, and potential for long-term damage to the firm brand. From a PR standpoint, there are huge differences between the stories—one is about the firm as a whole; the other is really about the behavior of an attorney that works there. In neither case will the law firm suffer any serious repercussions (as should be the case), but no big-time business likes to wake up to these calls from the media. But how to properly handle crisis communication is an article and a subject for another day. I read many articles on the morning after an Eagles win in my local newspaper, The Philadelphia Inquirer. On the day after a loss, I read a few less—but win or lose, I enjoy the Up/Down drill that points out the highs and the lows with a thumbs-up, thumbs-down, or simply two thumbs going sideways. 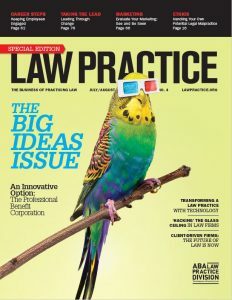 So I thought I could copy the concept in what I plan on having as an annual column, The Law Marketing Up/Down Drill in the March/April 2019 issue of the ABA Law Practice Magazine. 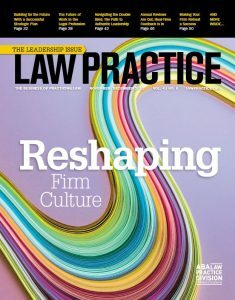 For my column, the beauty of the up/down drill is that it allows me to cover a myriad of hot topics and areas of interest in law firm marketing circles—rather than just focusing on one. You’ll need to click over to the column above for the detail, but here is a synopsis of the subject matter addressed. You may not agree with my opinion or perspective on all of them. I’d love to hear from you. Perhaps life has really been about search all along. We search for the right job, the right spouse, the right schools, the right restaurants, pretty much the right everything. So Google has either made searching easier, or harder, depending on how you look at it. In today’s legal marketplace, as lawyers, we want to make sure that we can be found by those doing the searching. 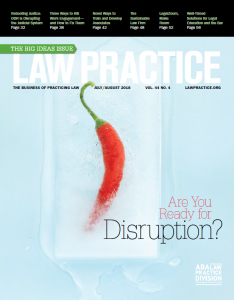 What complicates things for people like me in the “law marketing biz” is that the methods, tools, tricks and rules keep changing—those pesky algorithms—meaning that you need some sort of online PhD to keep your law firm clients on track, so they can be found by their prospective clients. 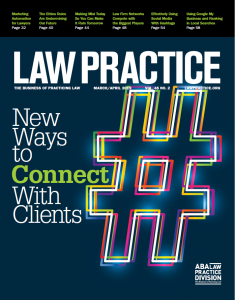 So it made sense for me to address this fluid subject matter in my November/December 2018 ABA Law Practice Magazine column, In Search of…Lawyers and Clients (For 2019 and Beyond). As is the case with most of my marketing columns, the topic finds me. Every day, I’m working and talking with different attorneys at different law firms in different parts of the country—and whatever topic comes up the most is often my next column. A few conversations on the most effective search mechanisms left my head spinning. I’m not going to lie about it either. I had no idea what newsjacking or hyperlocalization or geo-fencing was. I did not know all the nuances of what could and could not go into various forms of Facebook advertising. And focusing on things like “snippets” in Google definitely helped me steer some of my law firms in the right direction. Recently, I had the privilege of serving on a panel at the American Bar Association’s Law Practice Division continuing legal education program on the ethics of virtual and multi-jurisdictional lawyering in Santa Fe, New Mexico. 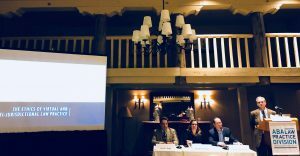 The program was co-sponsored by the State Bar of New Mexico, and took place on May 18, 2018 at the Inn and Spa at Loretto. Moderated by Albuquerque-based practitioner Charles Gurd, panelists included fellow Philadelphia area attorney Dan Siegel, and Charity Anastasio, Associate Practice Management Advisor at the American Immigration Lawyers Association. It struck me that the audience interest, interaction and participation were greater than in the vast majority of CLEs that I teach. These two intertwining and overlapping issues—virtual law practices and multi-state jurisdictional issues—go hand in hand, and often create as many questions as answers. When I’m driving down I-95 and leave New Jersey to cross into Delaware, I know it. When I then cross from Delaware into Maryland, I know it as well. I also know that if I’m caught speeding in Delaware, the only police I need to worry about are the ones with Delaware on the side panels. Of course, reciprocity when it comes to fines and points are sometimes blurry, but not nearly as confusing as crossing state lines in your law practice, typically on the Internet. 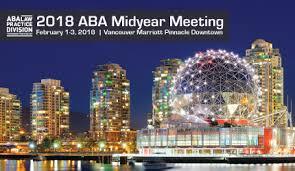 However, as many of the CLE audience opined, most lawyers today have practices that are not confined to one or two states.